One special prize still on offer, due to so far remaining unclaimed – the title of League One’s 2014/15 surprise package. These are remarkable times for Bradford City. On Monday the Bantams featured in the FA Cup fourth round draw for the first time since 2000 (did someone say Chelsea?) 17 league points have been collected from the last 21 available. Unbeaten in over two months, after seven wins and three draws from 10. Fifth in the League One table, at the exact half way point of the season. Phil Parkinson the December manager of the month. Rory McArdle the December player of the month. It’s difficult to judge whether this is a peak moment or a statement of intent for the second half of the campaign. Either way, it’s better to enjoy it for what it is. To utter the ‘p’ word or to discuss City’s chances of remaining in the top six come May is to raise the expectations beyond a level that is arguably fair right now. Because let’s face it, no one expected the Bantams to be soaring so high at the turn of the year. Yet still, in your heart you can’t help but stare at the current League One table and feel excited. And the feeling I have about my football club right now is so unusual that I dare not pass up the opportunity to revel in it. Over the years we have labelled Bradford City many things, but it is a rare day indeed that we can describe them as ‘overachieving’. For a campaign that was set to be blighted by budget cuts, we are out-performing our financial constraints. It’s too early to judge if we are going to be League One’s surprise package, but no one is more shocked by the club’s recent upturn than ourselves. Of course, two years ago this club overachieved to a level never previously seen in its century-plus history. As a fourth tier side, reaching a major cup final was one of the greatest global football stories of the past decade. We had no right to defeat Notts County, Watford, Wigan, Arsenal and Aston Villa to book a Wembley meeting with Swansea City, but we achieved just that in memorable fashion. Yet as far as league campaigns go, when was the last time we could label the performances of the players an overachievement? 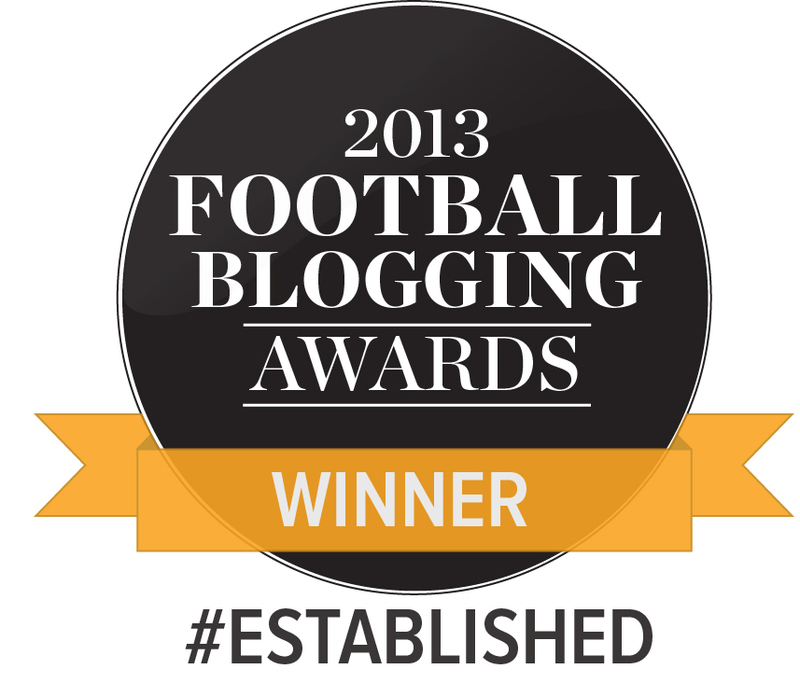 Certainly it is the first time this has occurred under Phil Parkinson. He was given plenty of money to keep the Bantams in the Football League during his first season, and he ended his second campaign – the 2012/13 history makers – with the largest playing budget in the division. Last year in League One, City’s budget was believed to be top 10. Which is not to talk down Parkinson’s league achievements at Valley Parade; many of his predecessors were handed comparable budgets and produced far less. Indeed, the weight of expectation that has hung over the club since the turn of the millennium has meant the best that a City manager has achieved is meeting expectations, rather than exceeding them. More often than that, it has been the other way. The feeling I had leaving Valley Parade, after the victory over Notts County, was one of huge pride but also one of disorientation. The league table makes no sense when you think back to the gloom of the summer. Of budget cuts, of signing back-up players on non-contract terms, of endless trialists, of letting players like Jon McLaughlin leave for financial reasons, of doom-laded pre-season predictions of relegation. Joint chairman Mark Lawn said that 10 clubs would have worse budgets than City, which logically suggested the Bantams went into the campaign with the fourteenth highest budget in League One. A faint play off push seemed to be the best we could hope for. The feeling I had leaving Valley Parade, last time out, took me back over 15 years to January 1999. Bradford City, then in Division One (now Championship), had spent heavily in the summer of 1998 and, after a poor start, climbed into the play off positions late autumn. It was expected that a top six finish was the best we could hope for, and yet in December and January City kept winning and moved into the giddy heights of second in the table, following a 4-1 thrashing over Crewe. Three days later Crystal Palace were in town; and following that night’s nervy and unconvincing 2-1 victory, we had built up a four-point lead over third-place Birmingham. It was a thrilling yet disorienting experience. We were suddenly performing above our best case scenario, we were overachieving. So how do you manage this upwards revision of expectation levels? George Orwell once said that “whoever is winning at the moment will always seem to be invincible” and that statement seems wholly appropriate to Bradford City right now. Seven wins and three draws from 10 – it goes beyond ‘good form’ and into something more significant. There is rhythm. There is momentum. There is confidence. There is belief. Why can’t Bradford City keep this going? Why shouldn’t we believe that we can finish in the play offs? The wider belief that budget constraints make promotion an impossibility is being slowly chipped away. How do we stop ourselves from getting carried away? January’s league programme begins with the visit of Rochdale this weekend, before a trip to struggling Yeovil and then a more daunting journey to top-two contenders Swindon (unless City win the cup replay with Millwall and instead travel to Stamford Bridge). The month comes to an end with the hosting of another struggling side, Colchester United. If City take a good points haul over this period, the expectation bar can justifiably be raised. 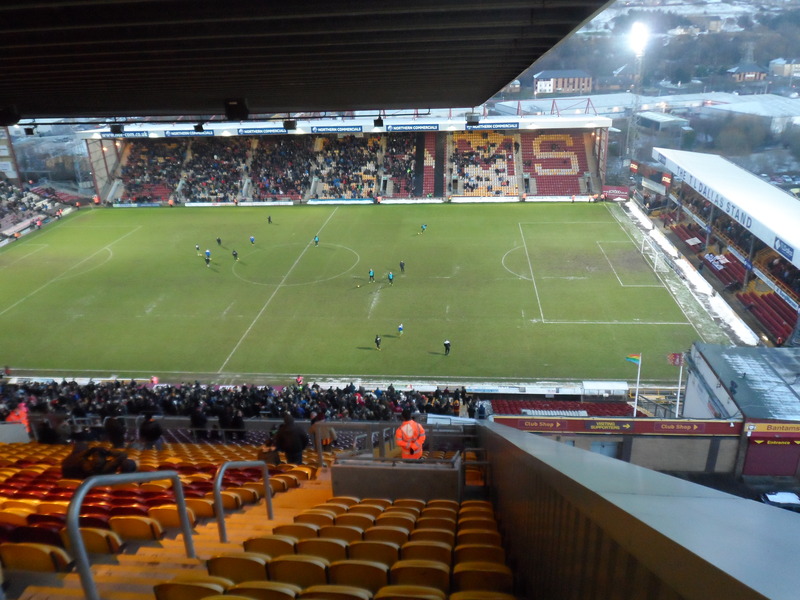 It is amazing to think that, following the wretched derby defeat to Doncaster on November 1 (at the time City’s fifth home loss from eight) they have begun to find their feet at Valley Parade, and it has once again become a difficult place to play at. The atmosphere, which had undoubtedly dipped following such indifferent results, has improved considerably. The goodwill of supporters towards the players has grown and grown. This group are not held in the same esteem as the history makers, but they are getting there. The immediate challenge for the management and players is to keep this feel-good factor going. To give us supporters reason to, as Brendon Rodgers said of Liverpool last season, “believe and dream”. Now is not the time to openly talk about promotion chances, but privately we can allow ourselves to daydream about it. Now is not the time to worry over whether City have the financial capability to compete in the Championship, but to secretly revel in the idea of welcoming Middlesbrough, Derby, Notts Forest, Blackburn and Fulham to Valley Parade next season. Now is not the time to worry whether we can last the course, but simply enjoy the fact that right now we are part of the race. Let’s not get to comfortable about our lofty position, as it can change very quickly. Let’s instead focus on making sure we are enjoying this moment – of sitting pretty in our best league position for over a decade. I think the key word in the article was enjoy. We need to enjoy this moment as I think we wont keep in the play-offs but its been exciting so far. We are currently between 5 and 7 places above where I thought we would be but its only half way through and a long way to go. We have to enjoy it but until we reach the 50 point mark im always looking over our shoulder. Jason I would be interested to know where the information as to our budget in 2012/13 came from. That was something I was not aware of at the time. Mark Lawn did a Q&A at the Sparrow pub on the day we beat Burton 1-0 to make the play offs, where he confirmed this was the case. I was not at the event myself but heard from a couple of different people who were, that this was said. It always makes me laugh when Lawn comes out with these comments. We are talking about a competitive league where all the teams are looking for an edge to achieve their end of season ambitions. So chairmen a, b and c etc ring Lawn up to tell him how much they are spending on their playing squad? I don’t think so!! Arthur The information on playing budgets is provided to the League by every club as part of the salary cap regime. The FL then summarise and circulate that information on an anonymised basis to all clubs at the start of the season. This has been done now for a few seasons. So no, it is much more than an adequate guess. I’m not a huge fan of ML but on this occasion I applaud him for sharing this important information. I may well be going against the grain of popular thinking, but I don’t, honestly, see any reason why a play off push cannot be maintained. Be positive!